Things have changed rapidly in the 21st century. 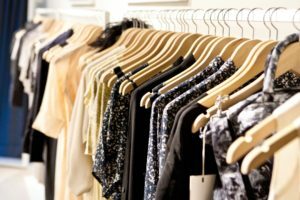 In the “olden days” of the 70’s and 80’s, if you owned a business, you would buy your employee uniforms from a local store or perhaps a print catalog. A print catalog? What’s that? Well maybe they do still exist somewhere, but those days, my friend, are gone. Today we do everything online. That’s why you should buy employee uniforms online. Why? Several reasons. It’s easier, it’s quicker, it’s cheaper, and you can get a massive choice of uniforms that you could never get from a store or catalog. We should know: at Uniform Solutions For You we are a factory direct distributor for over 200 uniform manufacturers. That’s right: we make nothing ourselves. Nothing at all. What we do is provide you with the widest possible selection of uniforms from a huge number of manufacturers, and if you can’t find exactly what you want from that little lot that’s perfectly OK, because we will have your uniforms made to your own design, right down to the last detail and including your logo or anything else that you wish. We also supply free logo setup on all orders of 24 pieces or more. That’s why you should buy employee uniforms online. We are a family run business, yet we supply large corporations and very small one outlet businesses, and everything in between, all of whom need employee uniforms to bolster their brand with their customers. When you have all your employees dressed in smart matching uniforms your customers receive the impression that they are working as a team, and this in turn increases customer confidence, which means that they keep coming back, which is what you want. It’s what every business wants: customers who return time after time. You might think that if you buy employee uniforms on line it is going to be complicated, but our customer service team makes it simple. We can provide you with samples, and we can also help you with sizing your employees in order to insure that everything is perfect. Our customers include restaurants, hotels, casinos, resorts, retirement communities, transportation companies, hospitals, and federal, state and county agencies, so whatever type of business or organization you own we can help. We know that you need to project an image that sets you apart from your competition and we can help you to do exactly that. Crisp, smart uniforms are the answer. They tell your customers that you are professional and that your business is here for the long term.